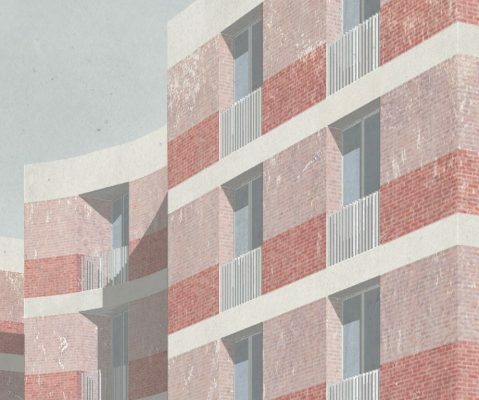 Mikhail Riches has won two separate competitions to design new housing on behalf of Hackney Council. 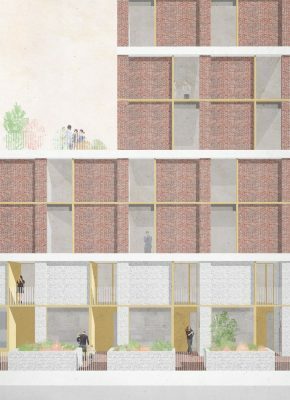 The practice overcame competition from over 50 competitors with a design for homes at Buckland Street in Hoxton and followed up with a proposal for homes at Wimbourne Street, also in Hoxton. Mikhail Riches teamed up with BBUK Landscape Architects to design landscaping around both projects, which propose natural play areas for local children. 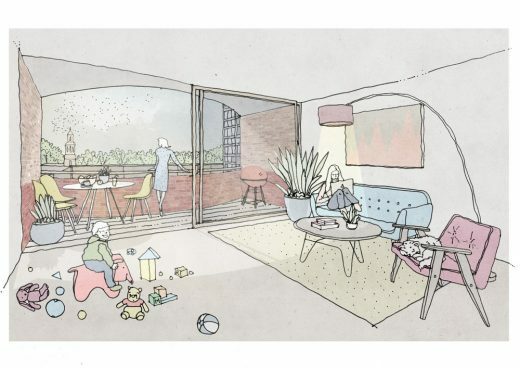 “We’re overjoyed to have won both competitions to design new homes for Hackney Council. Both schemes add housing on Council-owned land within an existing estate and will benefit from the existing community and local amenities, such as Shoreditch Park. The next step for these projects is to take our proposed designs to local residents and work with them to ensure the new homes become a valued and welcome addition to the community. “We’re delighted to be bringing forward the next phase of sites in the Housing Supply Programme as we continue to work with residents to make the most underused land to provide genuinely affordable places to live. 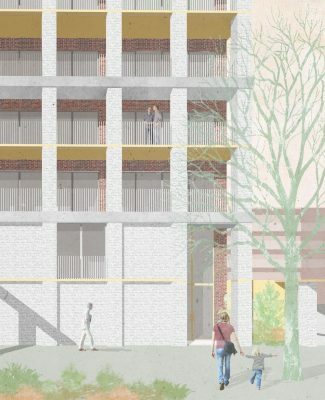 Mikhail Riches’ competition winning proposal for Buckland Street replaces a complex of lock-up garages with three six-storey villa blocks. The villas have been sited to reinforce the line of the street, increasing the legibility of Buckland Street to make it feel more neighbourly and residential. The scheme is designed to sit comfortably within the existing neighbourhood, taking cues from the surrounding architecture with horizontal banding and a robust brickwork skin using two tones of high quality brick. The proposal will retain the existing plane trees which form small entrance courts to two of the villas, and plant a new plane tree for the central villa. Large cylindrical scoops have been taken out of the cube-shaped villas, adding visual interest to the blocks and accommodating the root protection zones of the trees. All flats will have a south-facing wall and most will be triple-aspect. At Wimborne Street the competition site sits at the corner with New North Road and enjoys long views over Shoreditch Park, which is opposite. Mikhail Riches’ proposal keeps the building line back from the edge of pavement along New North Road to maintain views of Wimbourne House, a well-known local building that survived the WW2 bombing that destroyed much of the area. This move also allows the retention of excellent large specimen trees. A single storey colonnade encloses a courtyard in front of the building, maintaining the legibility of the street. Hackney Council’s Housing Supply Programme is an initiative to build more than 400 new homes on empty or underused Council-owned sites across the borough, such as by replacing ageing garages, car parks land depots. Across the programme 70% of new homes will be for social rent and shared ownership, paid for through outright sale of the remaining 30%. Mikhail Riches will begin working on the projects this month. It is anticipated that planning applications will be submitted towards the end of 2017 following engagement with the local community.